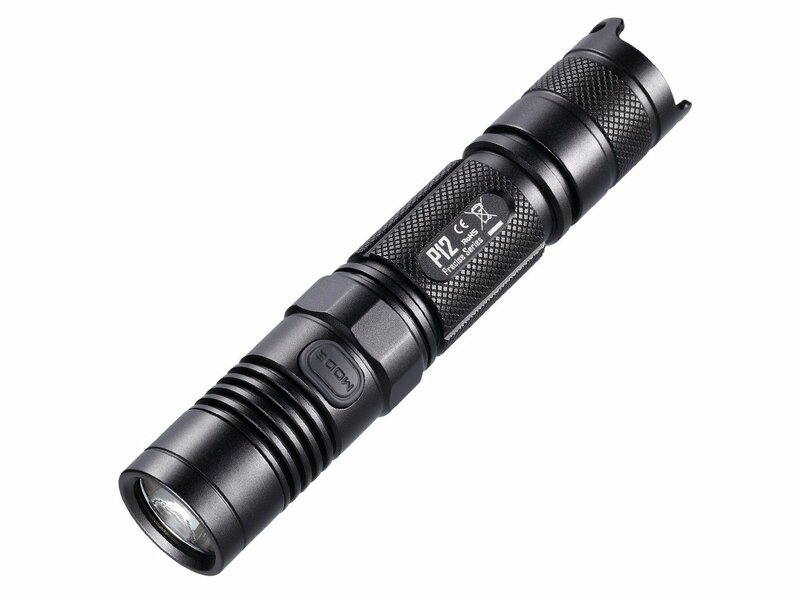 Tactical flashlights are extremely functional companions in our daily life. They could be used in a wide range of utility purposes, and could even be used for self-defense. They have evolved from the heavy and bulky flashlight illuminated by fragile bulbs and D or AA batteries, to the now extremely durable, compact, and more functional tactical flashlights fit for every day carry and use. Tactical flashlights are now powered by LED, a more compact and energy-efficient light source that has a longer life span. Its top grade, CREE LED, is said to have a life span that could last up to 100,000 hours. CREE flashlight review from its users are proof that these types of light source could last up to more than 5 years and counting. If you’re looking for a tactical flashlight to be your everyday companion in your daily tasks and possibly some emergencies, here’s a guide to help you choose the best tactical flashlight there could possibly be. Before proceeding, bear goals and purpose for buying one in mind. Once you’ve decided, it will be easy to have one perfect for your needs. If you’re a fireman, police, hunter, or in the special forces, you would know exactly how important and what tactical flashlights are for, however, an average person would probably never be able to imagine how often he/she may pull out a tactical flashlight if he/she had one. Tactical flashlights are highly functional. They come in handy in almost every emergency situation and even make daily tasks become easier feats to accomplish. What are you going to be using the flashlight for? If it’s only for finding lost things in the dark or finding your way back whenever you lose direction in a dark place, a low lumens level would be enough. However, if you intend to use it for self defense as a distracting light source, a weapon for hitting, or a blinding light, a higher lumens level and a sturdy body is a must. A higher lumens level is brighter, has the capacity to be blinding, and could illuminate a larger space. However, it also consumes battery life faster. Take for example, a flashlight with only one mode could either have a flood or throw beam. This is an important consideration. Would you like to use it to see something far, or would you like it to illuminate a wider area? Flood illuminates wider areas, while throw reaches longer and is especially more useful for target shooting and hunting. Some more advanced tactical flashlights are also equipped with more modes like strobe, SOS, and beacon. Strobe is a inconsistent blinking light that is used to distract an opponent, while SOS and beacon modes are for survival and are great in conserving battery. As for lighting sources, flashlights started to be equipped with classic bulbs that overheat after long usage and break after a fall. This was before LED light took the game to another level, as it provided energy efficient, brighter, and lighter light sources for flashlights. It made it possible for flashlights to be smaller and pocket sized, without compromising light quality. For most of the mid-range to high-end flashlights, “CREE” could be seen. This is the best LED light created, with a longer life span, an even higher energy efficiency and light brightness. CREE flashlight review articles say that you won’t feel the need to charge it often despite using a high lumens mode. It is also important for most people to have a companion that lasts. Would you want to buy the perfect handy tactical flashlight only to be compelled to replace it regularly? Most tactical flashlights are made to last, but it’s important to dissect the components that make it last longer. People had been looking for lighter and more compact tactical flashlights now. This has given way to manufacturing tactical flashlights with a plastic chassis. Tactical flashlights with a body made of plastics or composite are definitely lighter and cost less, but may not be as sturdy as its steel, titanium, and anodized aluminum counterparts. Titanium on the other hand is light and sturdy too, but is very costly. Stainless steel is on the heavy side, despite its durability, and anodized aluminum is what most tactical flashlights are made of now. If you’re particular about the weight and durability of the body, especially if you are considering using this as a weapon for self-defense when the need arises, these are facts that could be considered. Same with functionality and purpose, the light source is important for longevity too. Some bulbs are meant to last longer than others, and some can emit a large amount of light for a longer lifespan than others could. The best would be CREE LED. If you are on a budget, don’t settle for anything less than an LED unless there’s a need for you to. These bulbs are meant to last long and strong, and they are better companions especially for the long run. Lastly, the budget is an important factor to consider in buying one. A budget need not be a limiting factor, but it could challenge your goals. Knowing what you need creates a big difference. Knowing your device well enough to know how to take care of it would also help you make it last? For the body, plastic and composites chassis are usually the cheapest. The prices go higher and higher from anodized aluminum, stainless steel, and titanium. For the light source, LED lights are not expensive at all, but the longer lasting and brighter CREE lights would cost more. You can choose which ones you’d need for the tactical flashlight that would fit your needs.